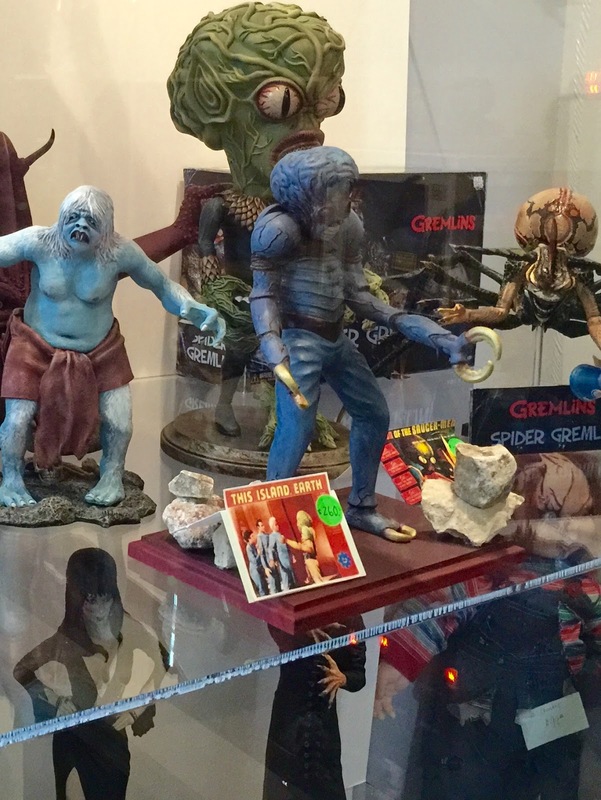 Collector's Crypt is a boutique shop in Dallas specializing in horror and sci-fi collectibles, memorabilia, paraphernalia, and… well, you just gotta see it, folks. It's an amazing place. 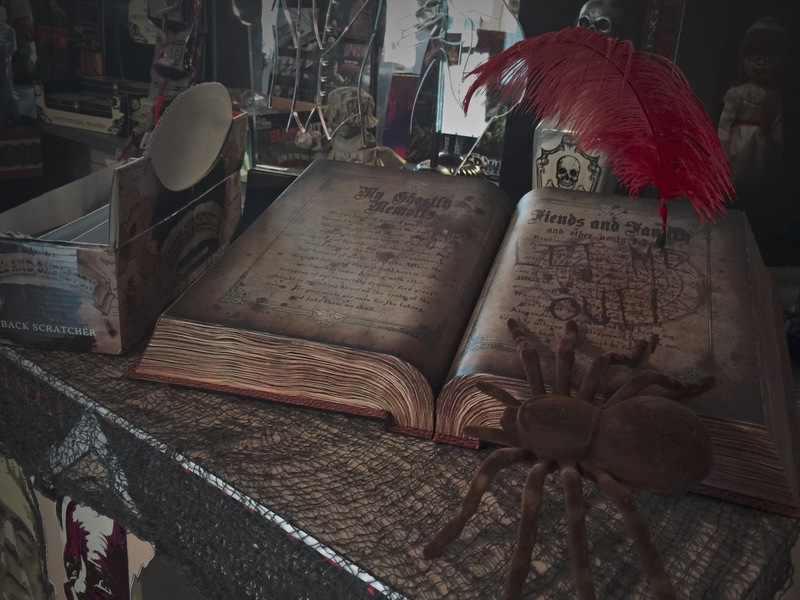 I discovered them only recently after attending the St. Patrick's Slay Weekend event at Dark Hour Haunted House in Plano. They were a sponsor of that particular show, so Dark Hour graciously gave them some floor space to sell a few wares after the show and otherwise promote the store. Now it's not like Dallas has a whole lot of shops like this; in fact, I cannot think of one other. So it piqued my interest. I noticed that they are located only a short distance across the river from where I currently work, so I decided to pop in on my next available lunch hour. I was not disappointed. In fact, what I found there blew me away. 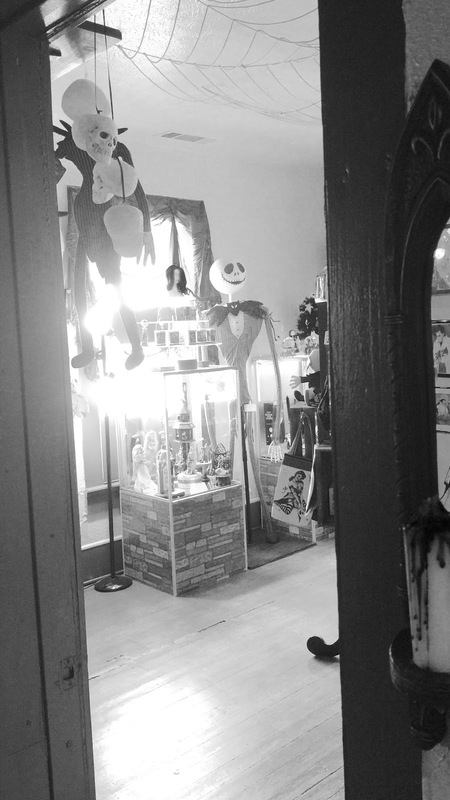 Collector's Crypt is located not so much in a traditional storefront as in an older residential neighborhood. At first I thought I had the wrong place, but the shingle out front told me I had reached my proper destination. The building, or rather, the house — had the feel of some eccentric old grandma's residence; or maybe closer to autumn, of a haunted house. As I stepped in the door I was greeted by a gnarled old butler who took my hat and coat as my eyes adjusted to the dim light of what I slowly realized was a hall of dark wonders. 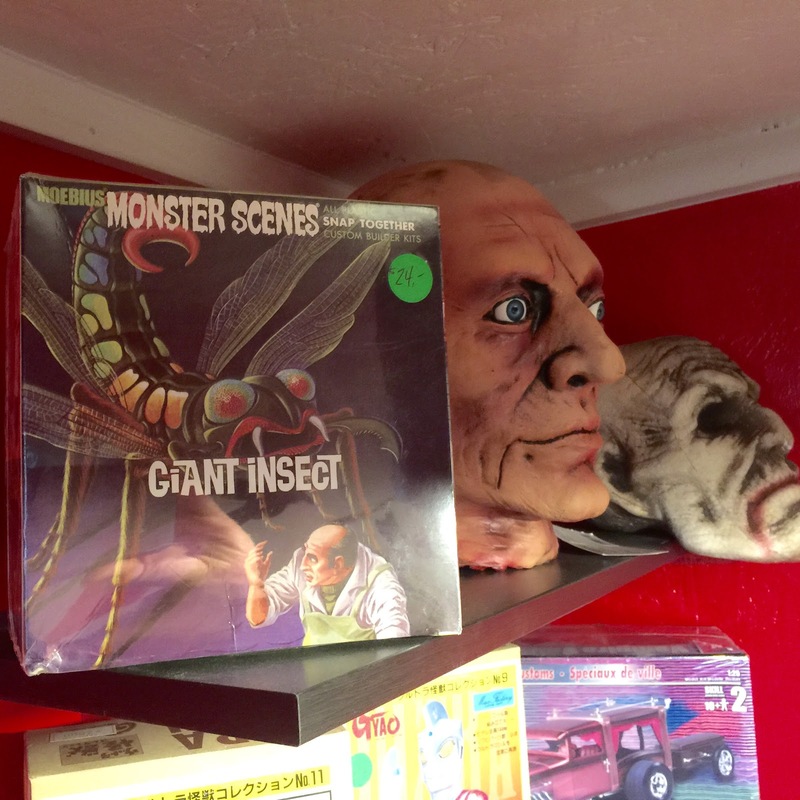 My eyes were immediately drawn to the centerpiece of the room, and maybe even the whole store — an exquisitely carved, two foot resin model of Dr. Channard, the Johnny-come-lately Cenobite from Hellraiser II who somehow managed to kick the collective asses of all the established monsters in the movie. The detail on the piece is just incredible. You can hardly help gawking at it. I was doing just that when one of the friendly proprietresses noticed me. She introduced herself and explained that the piece comes with two interchangeable heads (one having a more placid, and one a more exercised expression) and is of the highest craftsmanship. She also gave me a little walkthrough of the store. I felt comfortable enough to ask her if I could snap some pictures, and she graciously allowed it. The place has a few stock items, but the vast majority of the inventory is unlike anything I've ever seen before. 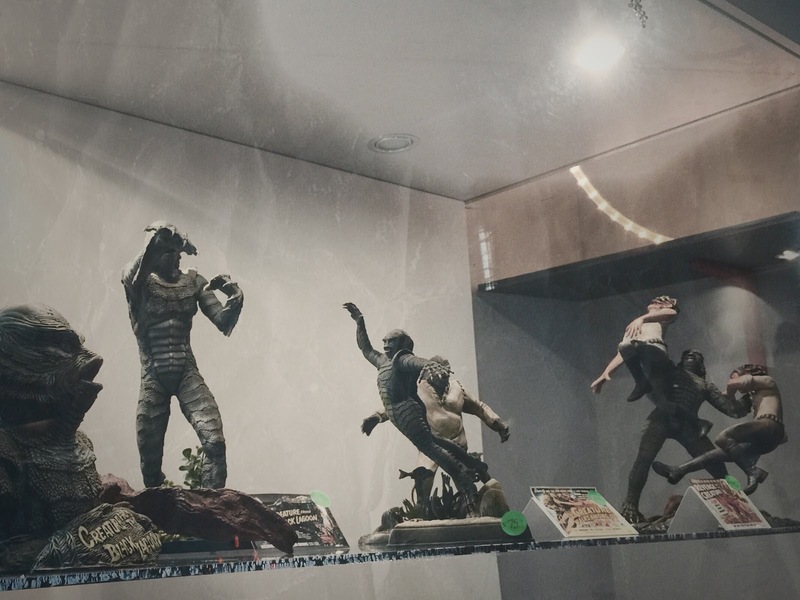 The place is loaded with antiques, and even better — custom made models and other memorabilia crafted exclusively for the store. Some of their stuff you won't find anywhere else! 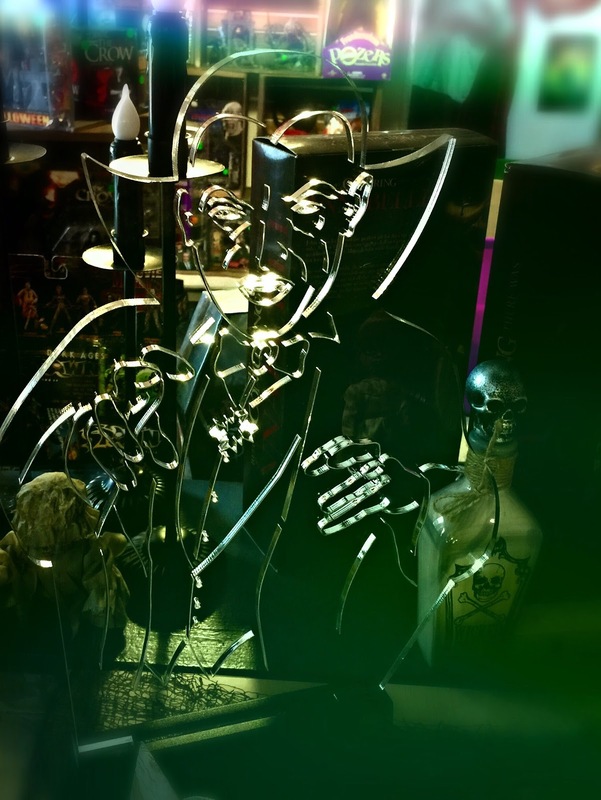 Please do not visit the store and buy this beautiful etched plastic/plexiglass homage to Count Dracula. IT IS MINE. It belongs on my mantle next Halloween. I used some Photoshop chicanery to give it a spooky green coloring, but there's actually a little red lamp at the bottom that lights up all the etched borders from below. In a dark room, this would look magnificent. But you'll never know, 'cause I'm going to buy it! 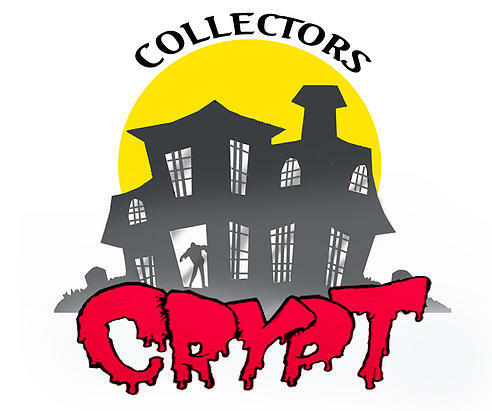 Collector's Crypt has a large and varied inventory, from the gory to the fantastic. 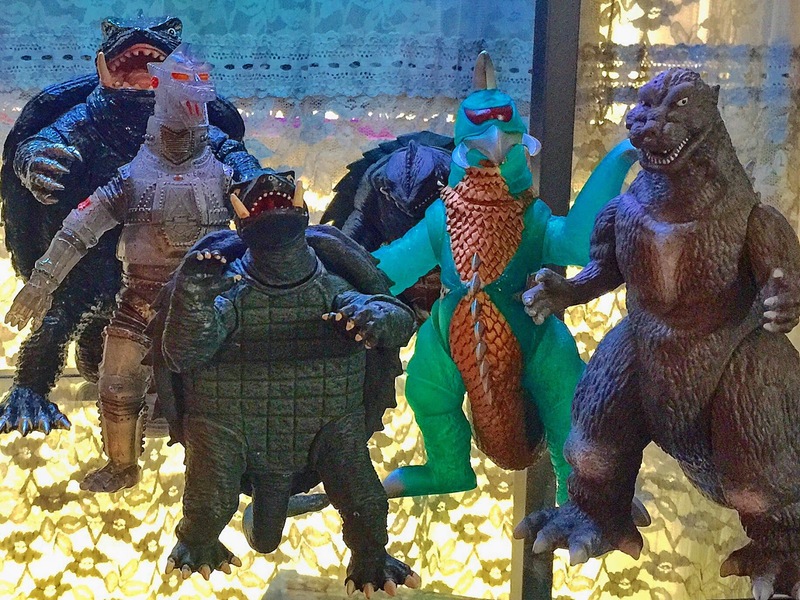 You can hardly move your eyes around without bumping them into a surprise or two, like the incredible selection of Godzilla merchandise on display. 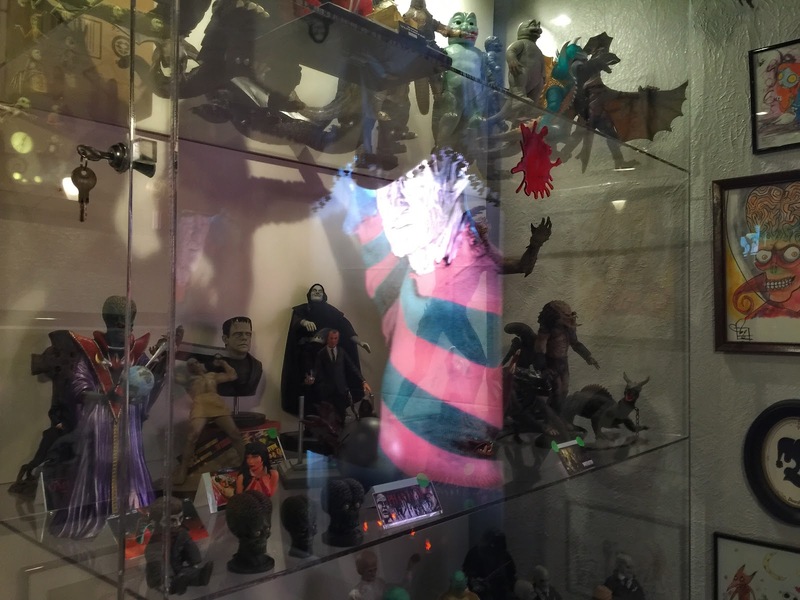 That discovery really connected with me personally, because I recognized a few of those toys from the collection of an old childhood friend. I had not seen the like of them in thirty years. 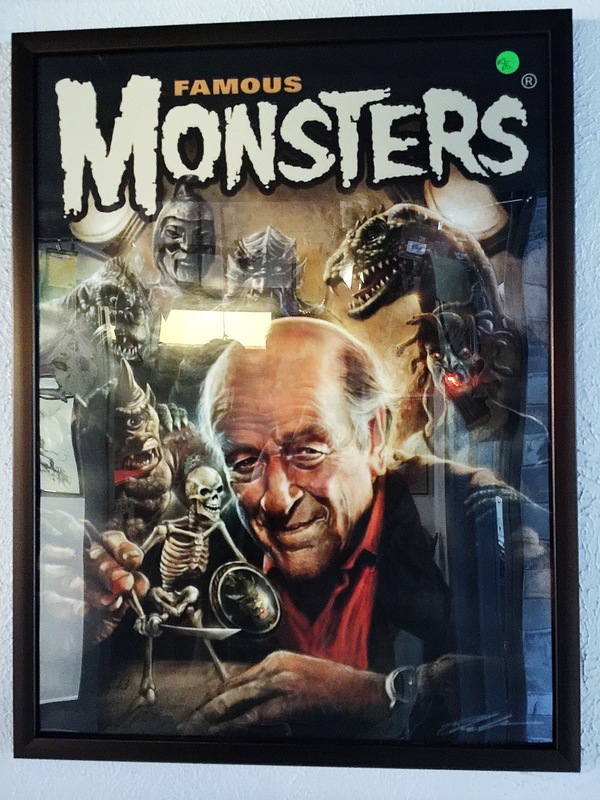 I remember visiting him at his Grandmother's house and watching Godzilla movies thrown up on the kitchen pantry doors by an old reel-to-reel projector borrowed from his dad. I remember the tin film canisters with the names of the movies written on tape labels, and the old lace curtains in his grandmother's dining room. Seeing this stuff gave me chills. 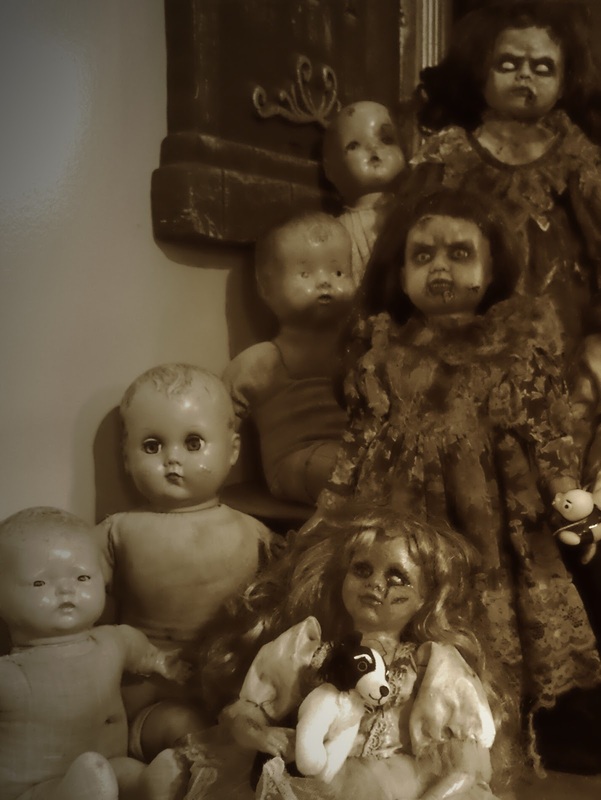 Every old doll is cursed. These were no spookier than the ones I remember in that old lady's collection back in Zapata, TX. Her house was filled with the things. How did she ever fall asleep? 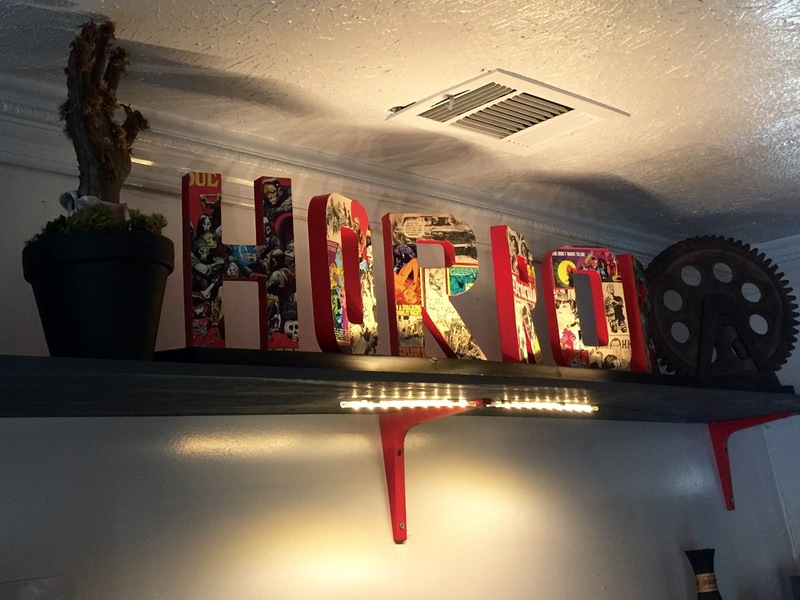 Looking for some posters, movie prints, or horror-themed art? This place has it all. In fact, I'm just now noticing that one of Frankenstein in profile. This is quality stuff, guys. 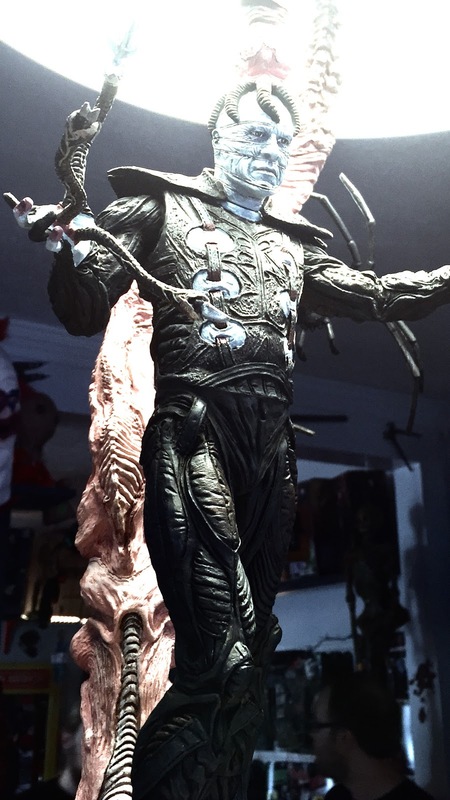 One thing I admire about Collector's Crypt is that these guys have class. And they understand the roots of it all; the old Universal pantheon get the respect they deserve alongside modern greats like Freddy, Myers, and Pinhead. There's a place for everybody under this roof. They even have a whole room devoted to the characters of Tim Burton. How's that for weird? A trick of light and shadow, or a waking nightmare? 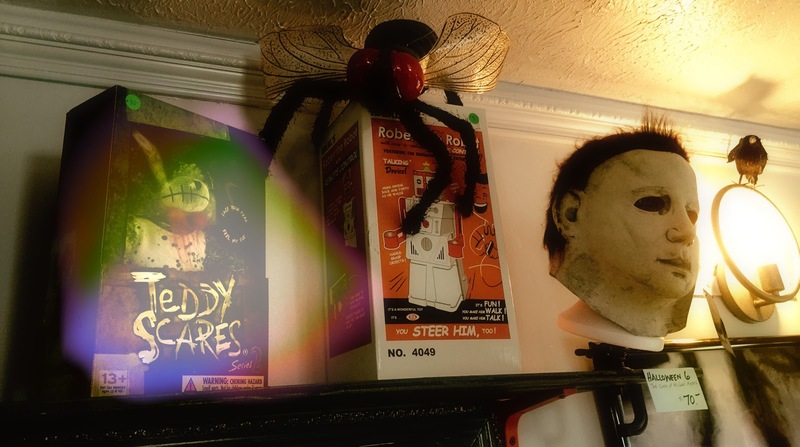 The ghost of Freddy Kreuger seemed to follow me in this room. Looking back, I can't seem to recall exactly what cast this apparition-like reflection on the glass. Was it only a reflection? I think maybe for that much I would expect the ball to really fly around, drilling holes in the heads of my enemies. 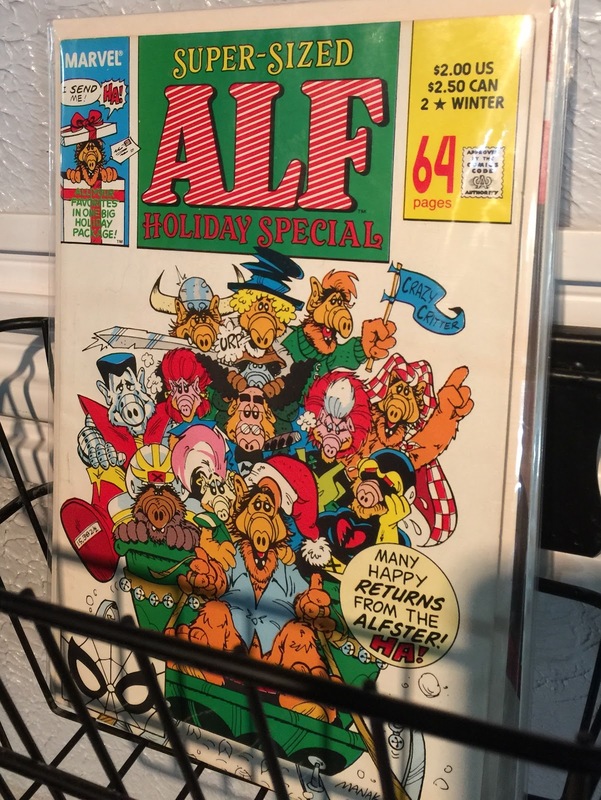 Yes, some of the prices are a bit steep, but the place appeals to collectors, and the prices reflect that a lot of these items are one of kind pieces, custom made for the store. Homage, museum, bazaar? The Tim Burton showcase felt like all of those things. I'm not a huge Burton guy myself, but it was fun poking my head around and scoping out all the oddities. 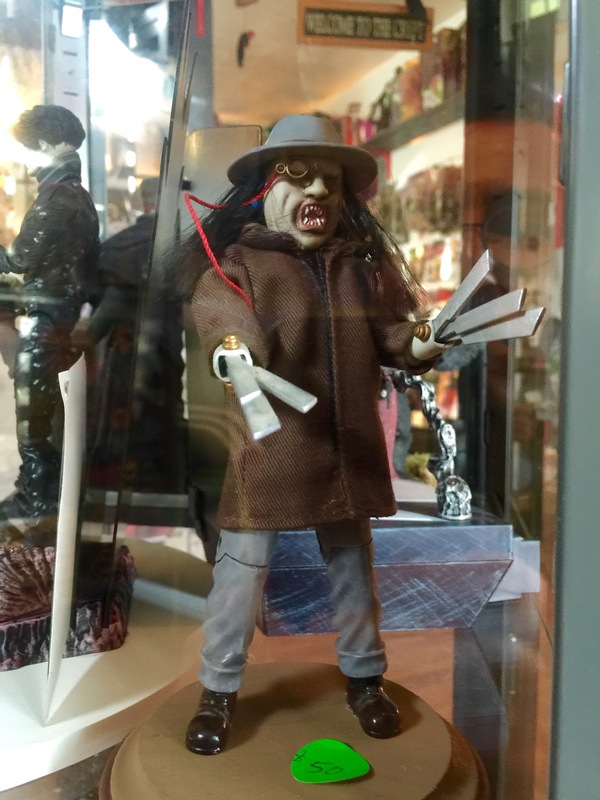 I only wish I had got more pictures of the all the Edward Scissorhand merch, 'cause there was plenty. 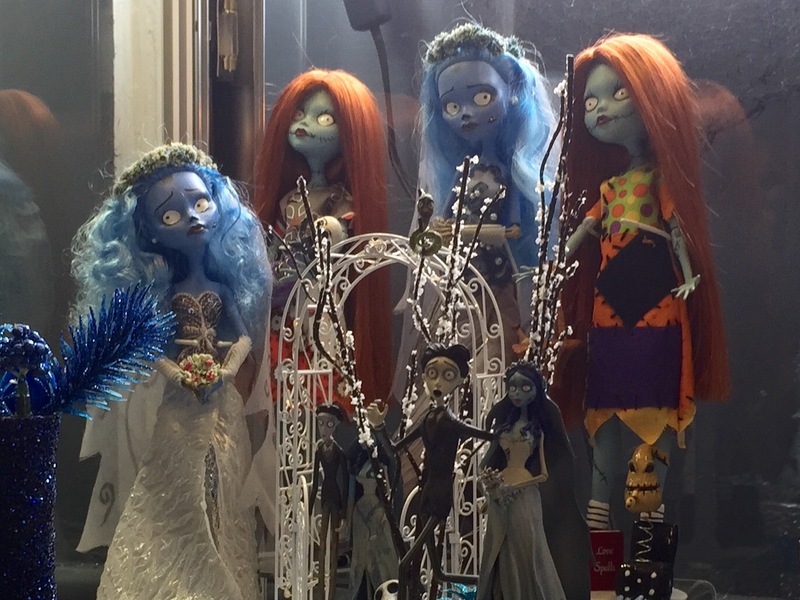 Inspiration for the Monster High dolls? 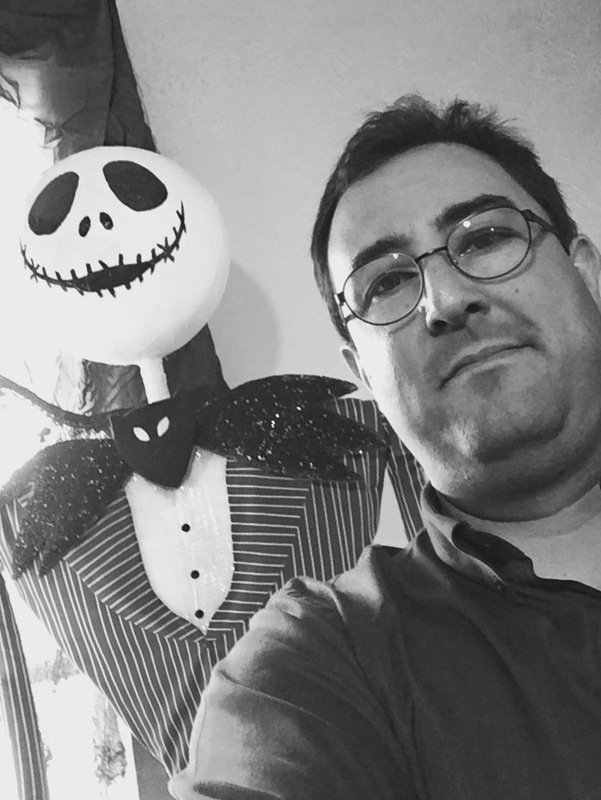 Scenes and characters from A Nightmare Before Christmas were of course a huge part of the... exhibit? Nobody was around, so I had to get a selfie with this life-sized(?) Jack Skellington mannequin. 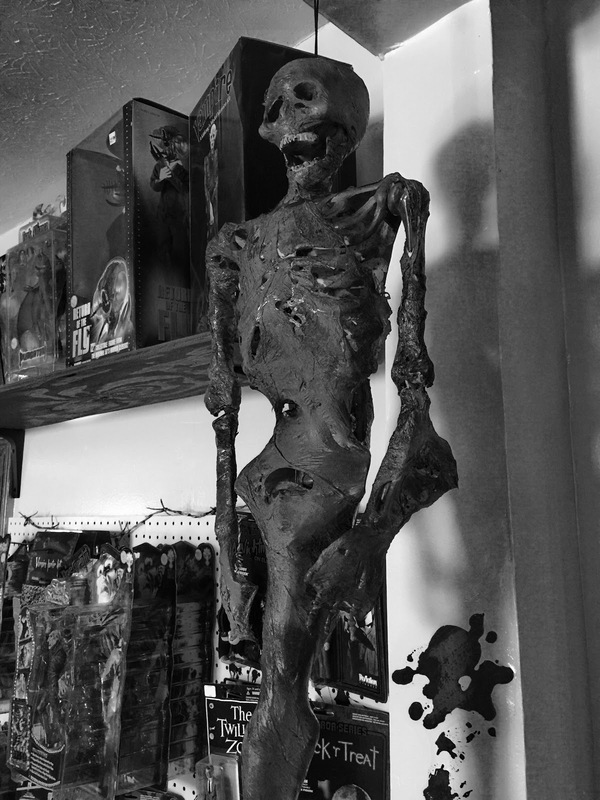 He watches over all the Tim Burton collection. 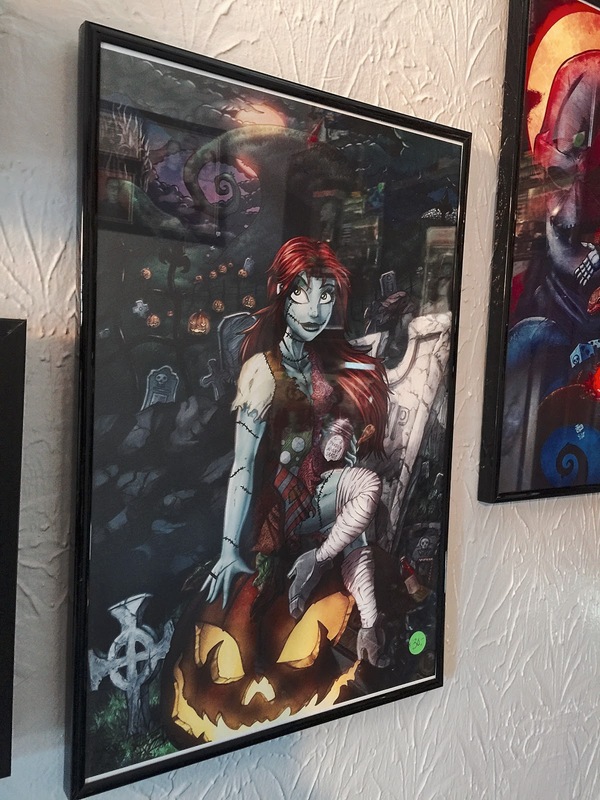 This comic portrait of Sally may have been the only piece of Tim Burton swag that I'd actually walk away with. But if you're into Burton's oeuvre, this is definitely the place to come and load up. 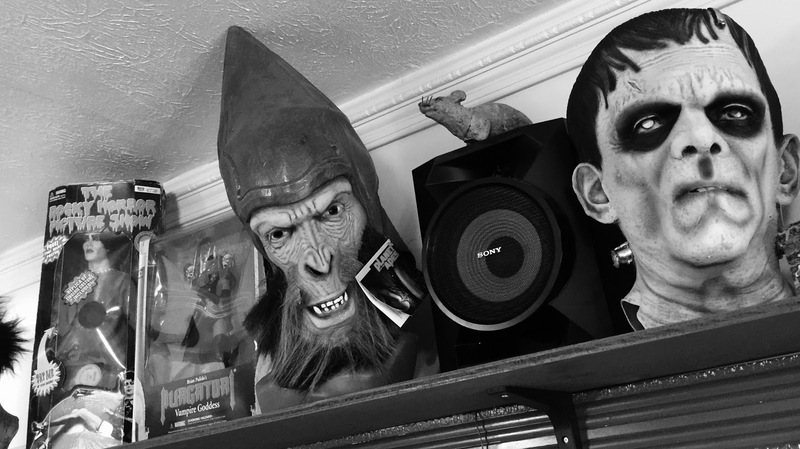 Not pictured in the corner of the room next to Sally is a little shelf devoted to Munsters memorabilia. I tell you, this place has it all! A lot of the store seemed less like a market, and more like the playhouse of some demented little rich kid. I'll be honest with you, I couldn't figure out exactly who this piece was supposed to appeal to, or for what occasion this was imagined to be appropriate. Maybe for taking out on the road, charging rubes five bucks a head for a peek? Very Bradbury-esque, this one. 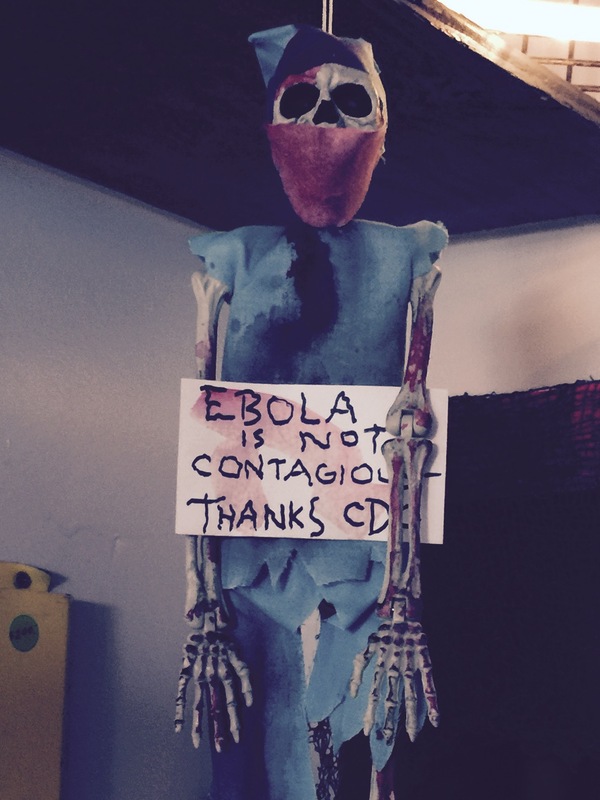 Ah, the ebola days. What a time to live and work in Dallas. I stopped taking the train in as soon as the news broke, for fear it would be a perfect disease vector. And it is, too, but more so for colds and flu. This piece manages to reference and lampoon the disease without crossing the line into bad taste. A nice feat! I love this model series so much. Exquisite likenesses and marvelous detail. 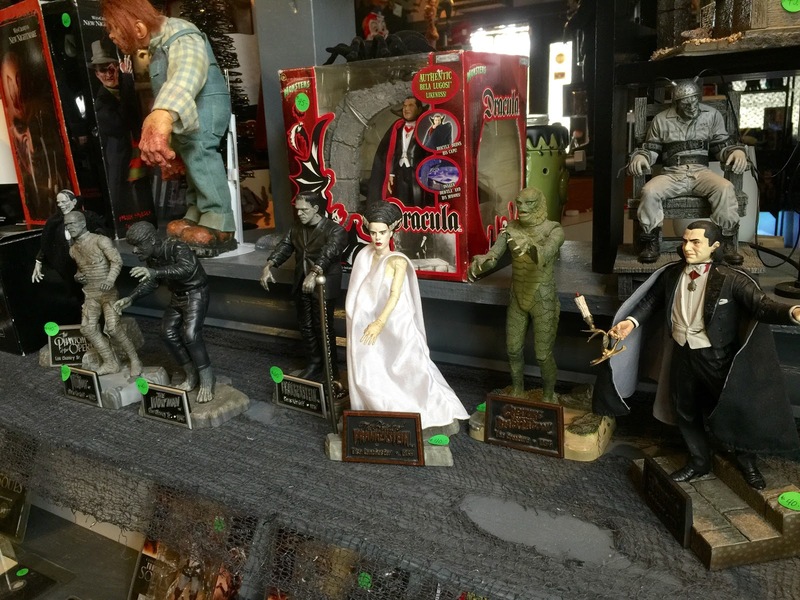 The Universal Monsters are well represented and very much beloved at Collector's Crypt. 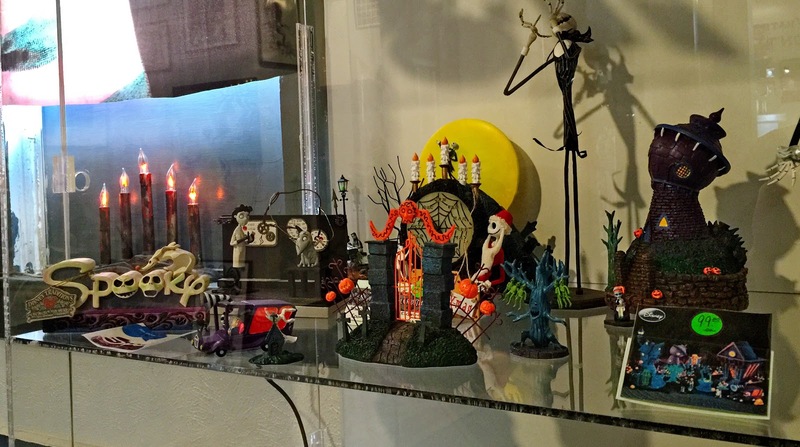 And is that a Frankenstein cookie jar I see back there? 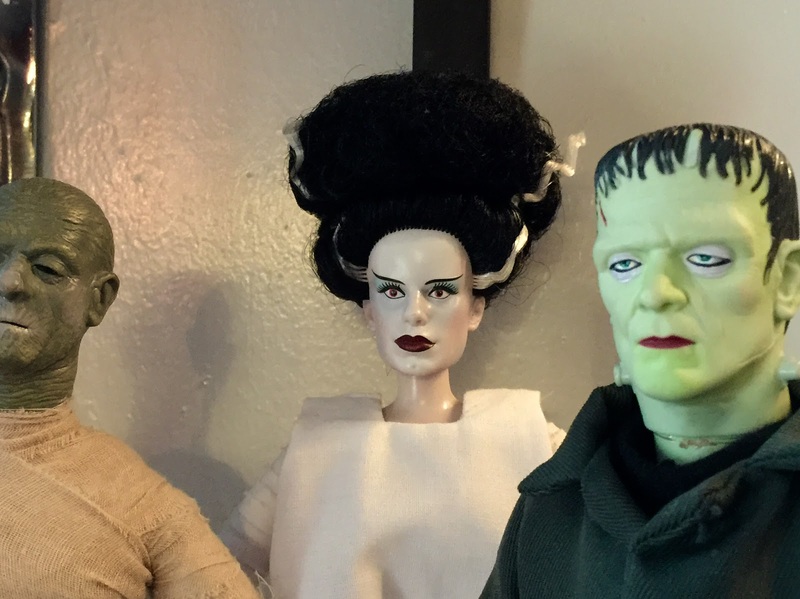 I've noticed that the Bride of Frankenstein seems to be enjoying something of a resurgence these past few years, after being traditionally relegated to second-tier monster status. 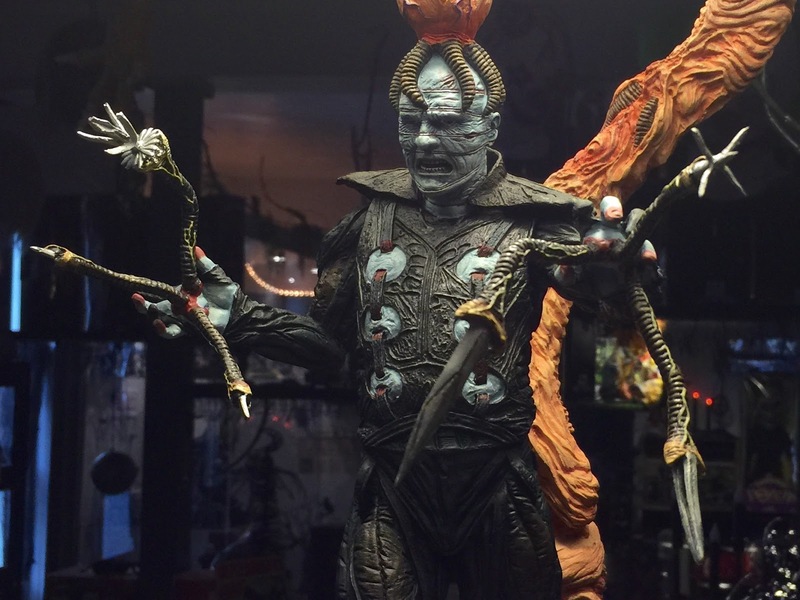 ...much like the long neglected Creature From the Black Lagoon, whose line of merchandise now includes such oddities as Halloween string lights. Somebody there must be a real fan, because he gets a whole shelf dedicated exclusively to him. 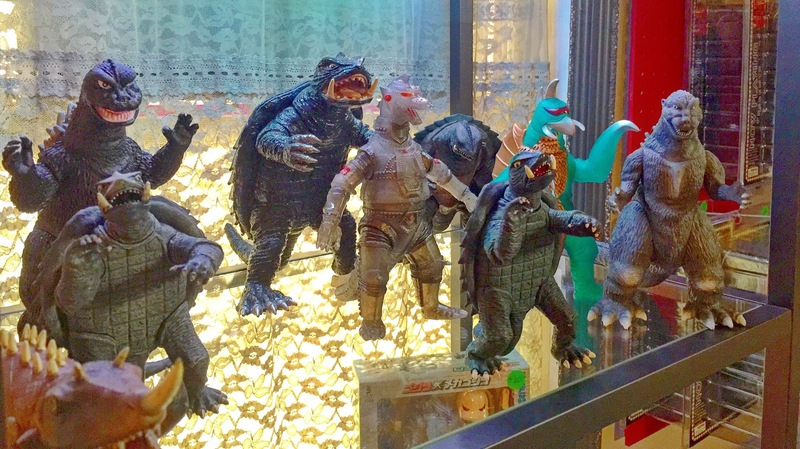 In addition to Godzilla and crew, you can find custom models including Klaatu from The Day the Earth Stood Still, that cabbage-headed alien from The Twilight Zone, Morlocks from The Time Machine, the This Island Earth creature, and a ton more only vaguely familiar beasties from the Golden Age of Sci-Fi, if you're into that kind of thing. There's also a real-life Chucky doll. See it? The place just overflows with oddness. There are a thousand things you've never seen before. It's obvious that these guys love their work. 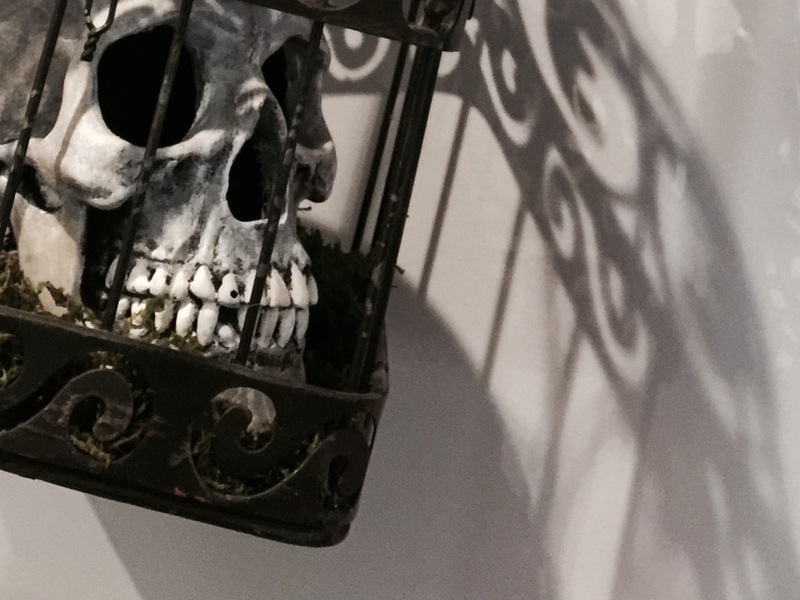 The shop is more than just that; it's an intentional homage to the macabre and fantastic. It's a true museum of the weird. 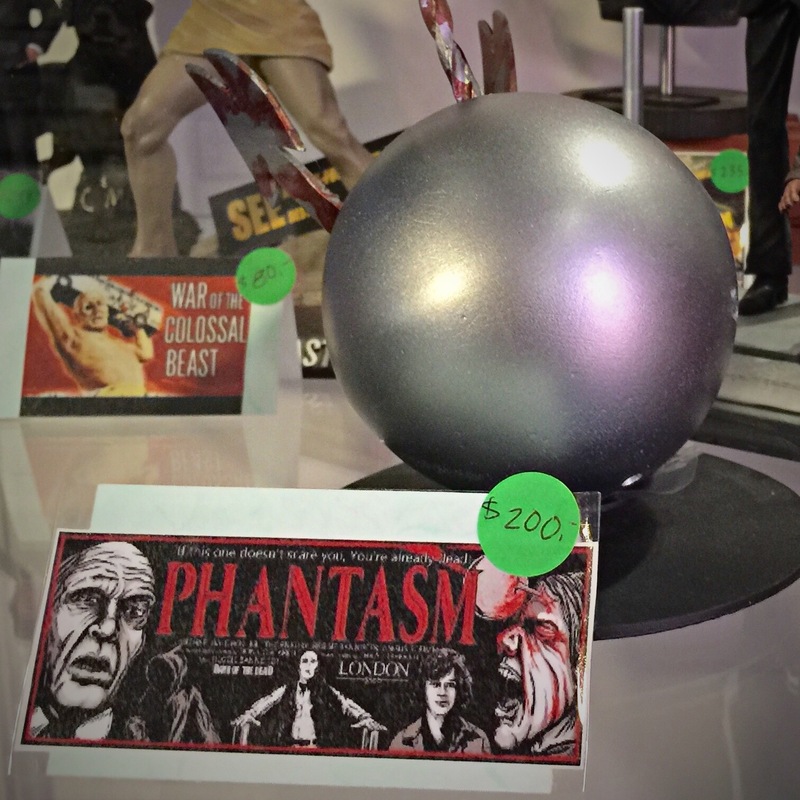 Please visit Collector's Crypt and buy this stuff. If you see something you like here and you don't live in Dallas, call them and ask them to ship it to you. I'm sure they can arrange something. 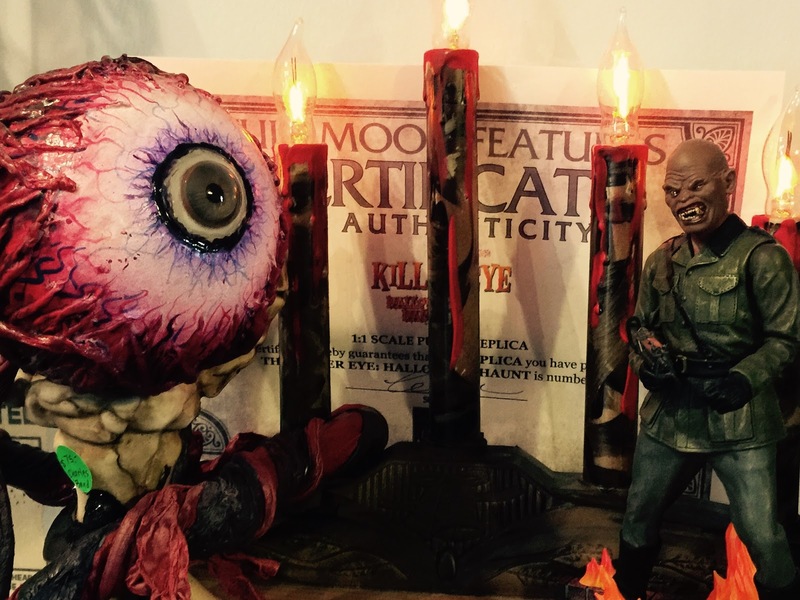 Ghoulies like the one above come straight from the Island of Misfit Toys. They need a home. 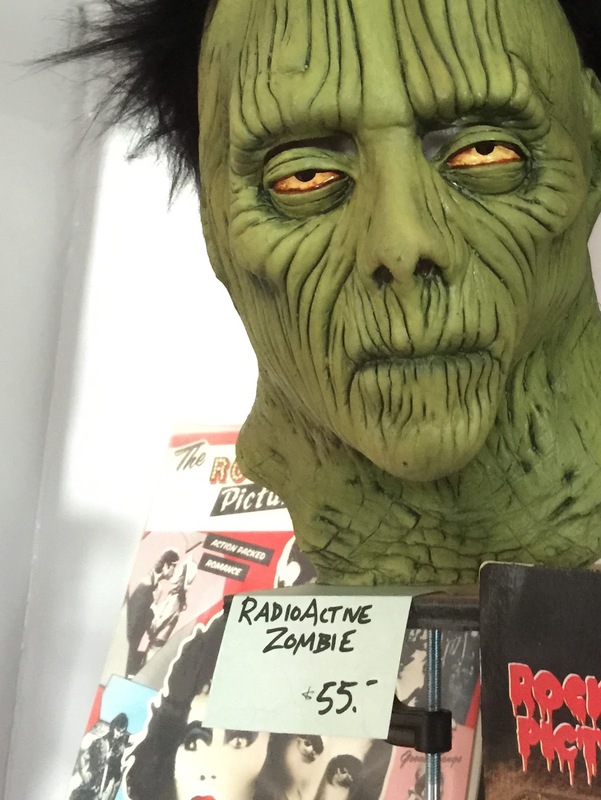 Comics, records, CDs, DVDs, magazines (including Famous Monsters of Filmland), and all manner of media can be found in a little room at the back. You could spend hours searching through those shelves and bins. I was there for thirty minutes. You think I found all the treasures in that place? Hardly. So much more to discover. And the stock switches up regularly. How do I know that? Talk to the owners. They're really nice people. And they know Elvira. Toys that you didn't think existed anymore. They're here! I remember this line of model kits from when I was a kid, advertised in the back of old magazines like Fangoria. They were apparently banned for being too gruesome and exploitative. They're back. You know what I love about them? They don't merchandise any movie (not that that's inherently bad), they don't try to "sell" you anything at all. They're not about branding or tie-ins or anything like that. They just exist to celebrate the idea of mad scientists and mutant insects. They're pure in that way. And that's really what makes them seem so anachronistic. This one model, moderately priced, tucked away on a far corner shelf, seemed to me to be one of the greatest hidden treasures in the whole place. It might go ignored forever, easily overlooked, but if you have the spirit to appreciate it — man, what a steal. I left the store with a few smaller items and mementos for the kids. This one was probably my favorite. A vintage Burger King Kid's Club prize — a surprisingly high quality Dracula action figure with coffin included. Even came in the original protective sleeve. At the time they had like 20 Wolfmen, but only one Dracula. I picked up one of each. Frankenstein and the Creature From the Black Lagoon round out the set. I'll certainly be back to look for those. 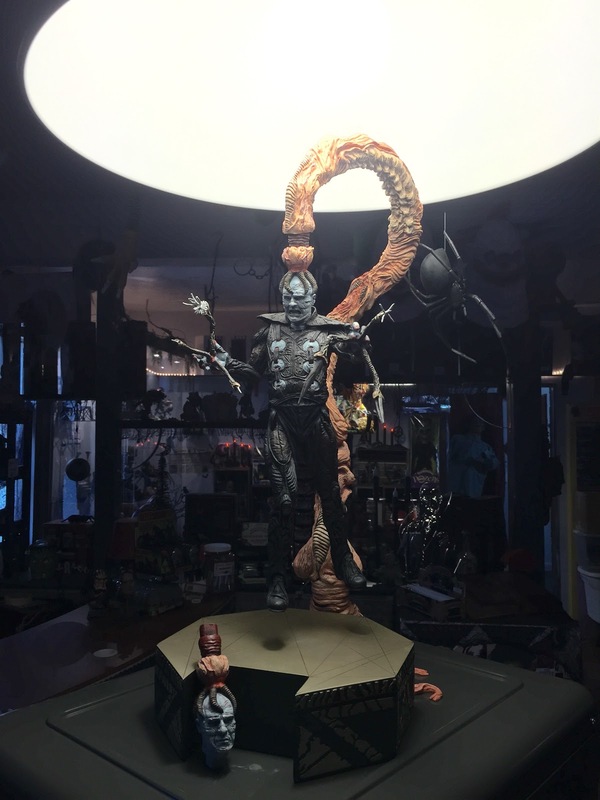 Collector's Crypt is a spectacular place. There is nothing else even remotely like it in Dallas. I look forward to returning there many times between now and Halloween. May they grow and thrive for years to come!